A handful of years ago, I designed the TugZilla 26. 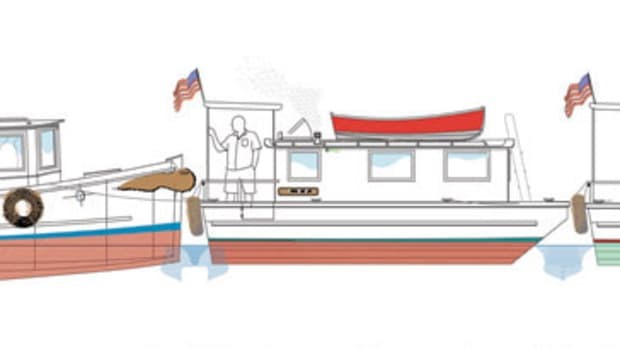 At just under 26 feet long, she was small enough to be a real harbor-type tug and could be piloted without a full captain’s license. 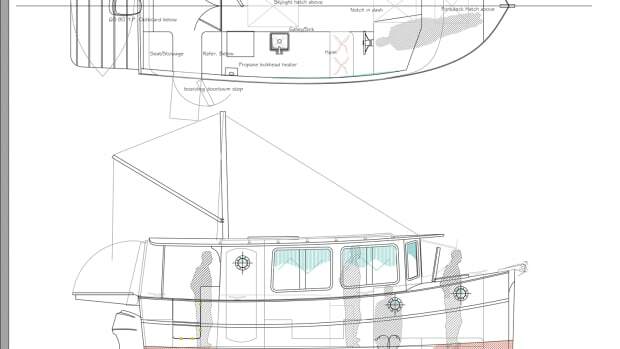 A customer named Tom started on the hull himself as soon as I prepared the plans. Years later, Tom moved on from the project and made me an offer that I could not refuse for the partially completed hull. I was transfixed with ideas and dreams. 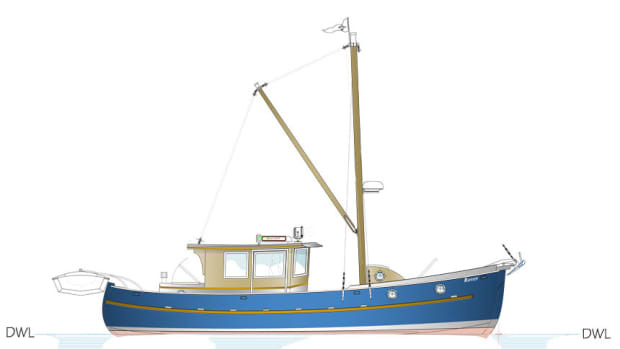 I fantasized about setting her up as a local harbor tug for my hometown. 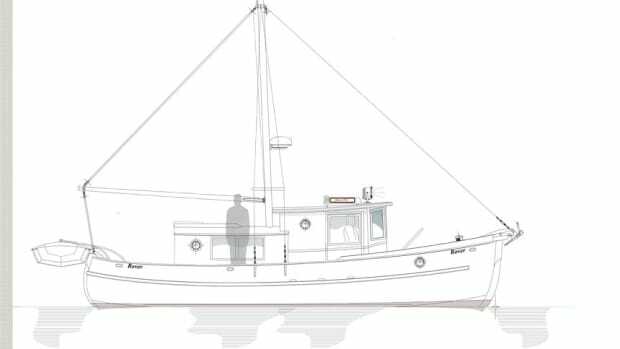 I have a 100-ton master’s license and could easily operate the boat, but I loved the idea that she would be small enough that anyone from our small company could do so legally. My two sons and I traveled south about 110 miles to pick her up on one of our shop trailers, and soon after she arrived back home, I tried to find a slot in our building schedule to finish her. But as fate would have it, we took on a much larger project for a repeat customer named John. It was his sixth project in a 26-year time span, and because he was 95, we felt pressure to get it done. He was such a lovely and inspiring friend that I did nothing for the next six months except work on his boat. Meanwhile, the partially completed tug languished under cover in an upper storage barn. 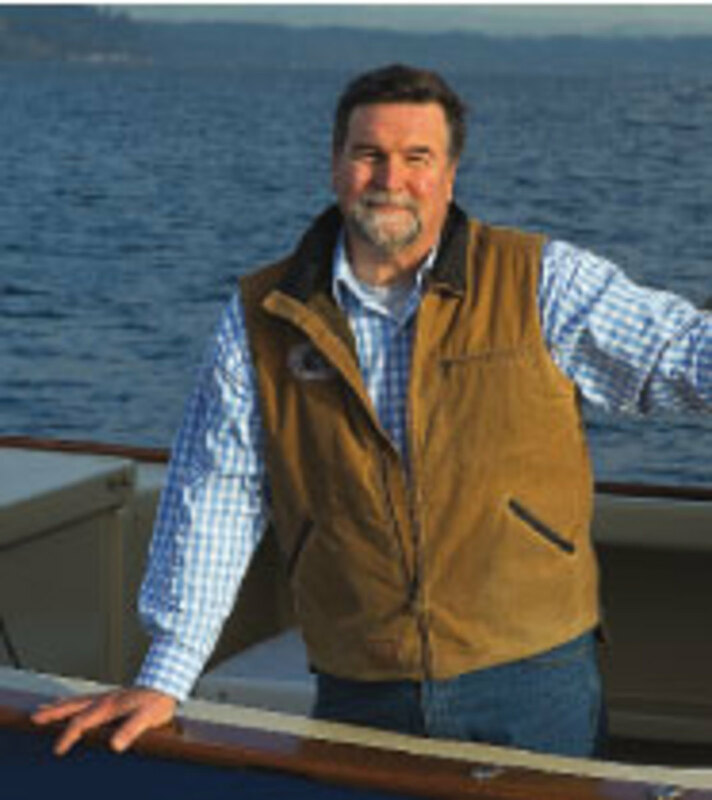 Once we had John’s boat finished, we blasted into another couple of projects. Before I knew it, a full year had passed with nothing done on the tug and no line of sight for anything happening soon. It had been a long winter. Spring was in the air, and nature reminded me daily that it cannot be suppressed. Though the air still seemed cold, it was simply too wet to bring the tug out of storage. But I found myself thinking about warm summer sun and what projects I wanted to wrap my head around. On a Sunday morning, while having coffee with my wife, I learned that her list differed greatly from my own. New countertops and a kitchen makeover topped her list, plus new gutters and a long-unfinished landscaping project. These chores didn’t seem like they would be much fun. I slinked away to my office under the guise of working, for what I hoped would be a few moments of inspired creation. Coffee mug in hand, I tuned the radio to the weekly “Sunday Morning with the Beatles” show and started sketching ideas for the TugZilla hull. Finishing her as a tugboat seemed uninspired, but I remembered seeing pictures of a village, maybe in Ireland, where locals had turned old fishing hulls into roofs for cabins. 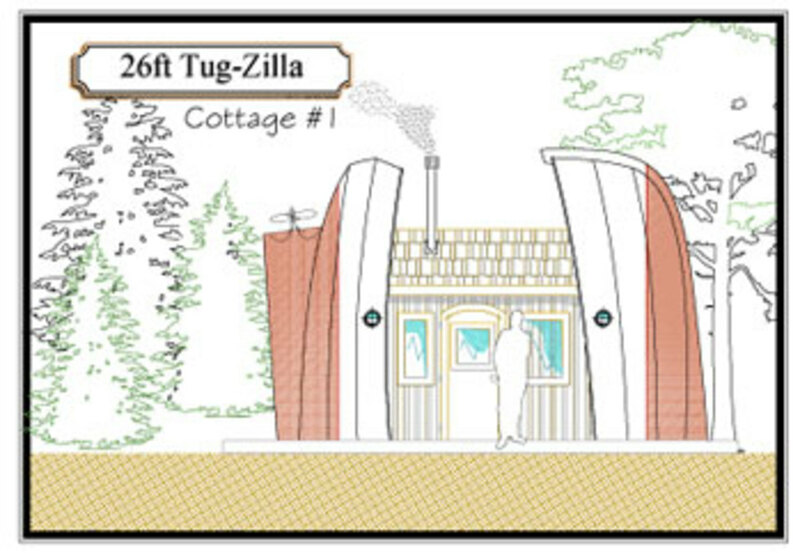 What if we turned the TugZilla into a small cottage — a man-shed, she-shed? (Yes, that may have been a bold attempt at blunting the sure-to-come hazing). 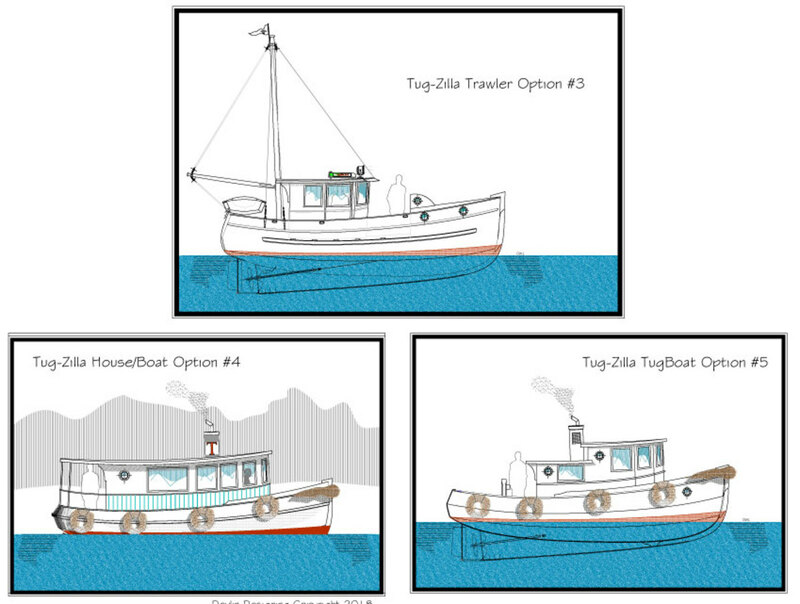 A bit of sketching with the TugZilla hull as the base design created a couple of options. The first would be to turn the hull upside down and build a small hut under it. It would hold just a bed, a small head and a tiny kitchen, sort of like a treehouse on the ground. The drawing looked good, and I was just about to head back to the house to show my wife when another idea bounced into the light of my consciousness. 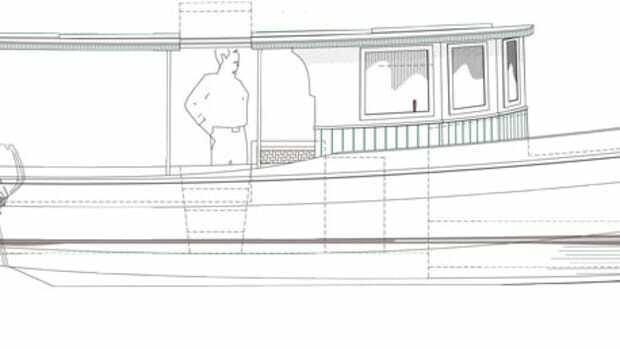 How about cutting the boat in half on station number five and standing the two ends up, with the deck sides facing each other? A shed-style roof between the hull halves could be as large or small as I wished. This idea really was appealing. But before presenting the sketches to my wife, I had another thought: to make a couple of models illustrating these ideas. She needs more of a nudge to see drawings jump to flesh in her mind’s eye. I would love to write that her acceptance was immediate and fully embracing, but that was not the case. Her first question was, Why do we need another little building on a property that has buildings galore? I didn’t have an easy or quick answer. But when I proposed that we might think of it as a small B&B rental nook, she started to see some light. So, I worked on the concept a little further. Before dinner, the drawings had progressed and the models were just slightly behind in development. Soitza had had time to mull. I included the original tug drawings as part of my evening presentation, along with a couple of other variations to be fair to the concept. 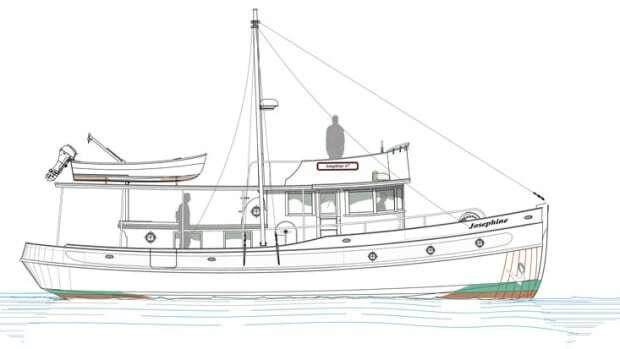 An aft-house trawler version had surfaced, along with a longer-house, ferry-type floating version, perhaps to be built engineless as a floating B&B. Sunday’s moment of inspiration, I had the pleasure of seeing what a truly creative few hours might concoct. There is much distance between inspiration and the final expression, but it’s the journey in between that is the measure of a truly inspired life. Anyone who knows me is aware of the two women who are the loves of my life: my lovely wife and first mate, Soitza, and the little retired salmon troller Josephine. Two great cruising adventures are possible in North America: the Inside Passage of the Pacific Northwest and the Great Loop, which wraps the eastern third of the United States and the southeastern part of Canada. 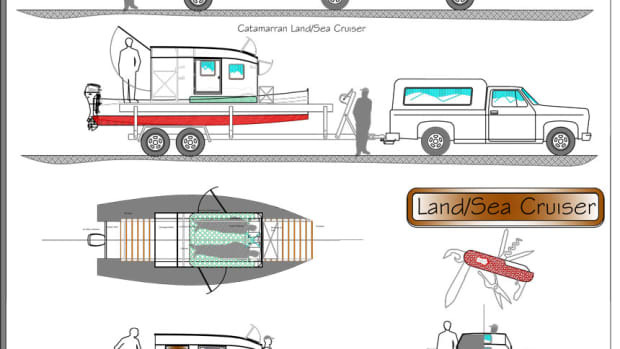 The latest design to come off Sam Devlin’s drafting table was inspired by his desire to create a cool boat that millennials can love. Inspiration sometimes follows a strange and twisted path to reality, initially as simple sketches, later as a full design and later yet — if at all — as a living and breathing vessel on the water. Sam Devlin takes June's Rover 29 design and creates a practical but pretty cruising version that would fill any mariner's heart with wanderlust. Tiara has built its reputation on a solid foundation of high quality and conservative design. When it introduced the 50 Coupe a few years ago, the styling took a few risks. 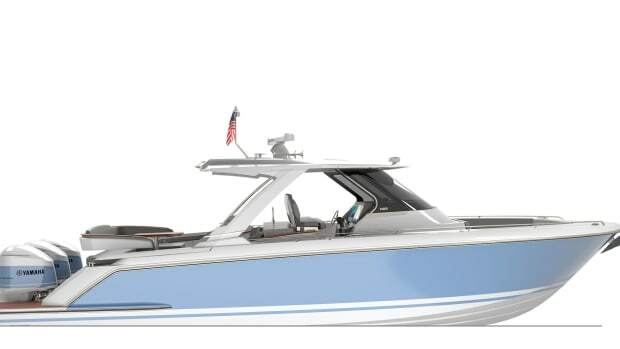 The newly conceived Tiara Sport 37 LS takes another step up the stairway of style — and she’s the debut offering in a new Sport series, which will include the first outboard-powered Tiara models in the builder’s history.